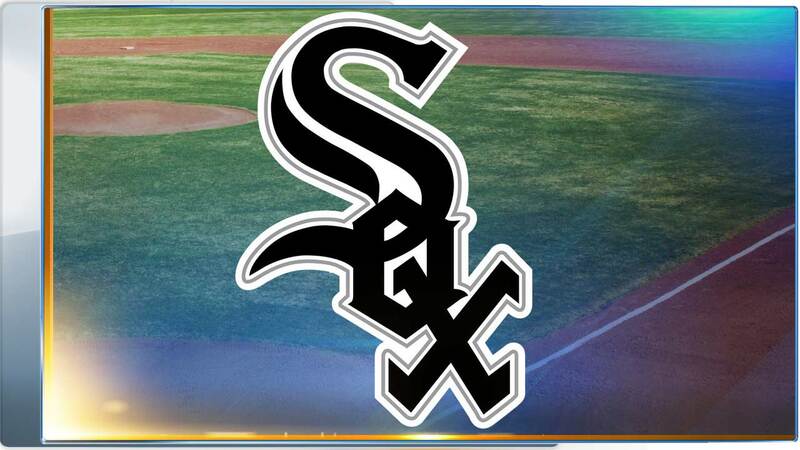 CHICAGO (WLS) -- The Chicago White Sox will host their first game of the season at U.S. Cellular Field Friday afternoon against the Minnesota Twins. The Sox home opener at 3:10 p.m. CT is sold out. Tickets for the remaining games in the series against Minnesota are available. For the first home game, parking lots open at 11 a.m. and gates open at 1:10 p.m. Fans attending the game are encouraged to be in their seats by 2:25 p.m. for the start of the opening ceremony. Fans at the game Firday over age 21 will receive a White Sox 2015 Magnetic Schedule presented by Miller Lite. The National Anthem will be sung by Sox fan Tim McIlrath, lead singer of Rise Against. The ceremonial first pitch will be thrown by 2005 World Series starting pitcher Jose Contreras. The team will also show a Minnie Minoso video tribute at the top of the second inning. Nobody in the Chicago White Sox clubhouse was willing to wave the white flag after a season-opening sweep, especially with plenty of examples of quick rebounds at their disposal. "I'm not comparing us to the Cavs," outfielder Adam Eaton said after Chicago's 4-1 loss to the Kansas City Royals on Thursday. "But everyone was freaking out when LeBron (James) and all of them were not meshing correctly, and then all of a sudden they win 12 in a row." So, is a long winning streak in order as the White Sox head home? "Again, I'm not comparing us to the Cavs," Eaton said. "But it does take a little while to mesh together with all the new faces we have. You hope we can be a little like them and mesh at the right time and get hot and play good baseball." The White Sox were swept in a season-opening series for the first time since 2004, and lost for the 14th time in their last 17 games against the AL champion Royals. Not even John Danks, who had been 7-0 against them, could get Chicago on track. He allowed all four runs on seven hits and a walk in just 5 2-3 innings. "I felt I had better stuff than 5 2-3s," he said, "but I made a couple of mistakes, but also made pitches when I had to and feel good going into my next one." Alexei Ramirez drove in the White Sox's only run off Edinson Volquez, who dazzled for eight innings in his Royals debut. He allowed four hits and a walk while striking out five. Salvador Perez hit a two-run homer, and Lorenzo Cain and Kendrys Morales also drove in runs as Kansas City improved to 3-0 for the first time since an opening sweep of Detroit in 2008. "It was a good way to start off," first baseman Eric Hosmer said. "We wanted to make a statement in the first series of the year, and we were able to do that." The Royals took the lead on Cain's RBI groundout in the first, but it was his two spectacular plays in center field that will make highlight reels. First, Cain collided with the wall at full speed to rob Adam LaRoche of a leadoff hit in the second. Then, he backed into the wall to catch a long fly ball by Micah Johnson that ended the third. Morales added an RBI double off Danks in the sixth inning, and Perez chased the left-hander a couple of batters later when he sent a full-count pitch into the bullpen in left field. It was the sixth homer of the series for the Royals, who needed 15 games to hit their first six last season. They went on to finish last in the majors in home runs. "If somebody would say, 'Boy, you're firing on all cylinders,' I'd have to agree," Royals manager Ned Yost said. "To get off to this type of start is exciting and fun, and you just have to ride it as long as you can." Royals LF Paul Orlando started in place of Alex Gordon, who got a planned day off. After spending 10 years in the minors, the Brazilian made the most of it. He walked in the third inning and then hit a leadoff triple in the fifth. The game was delayed nearly 5 minutes in the first inning when Kauffman Stadium's phone system went down. With no communication to their replay officials, the managers would have had to challenge plays only on their own observations. Service was restored in the third inning. White Sox: LHP Chris Sale (broken right foot) is expected to start Sunday against the Twins. Royals: RHP Luke Hochevar (Tommy John surgery) began a rehab assignment Thursday with Triple-A Omaha at New Orleans. The hard-throwing reliever missed all of last season. White Sox: RHP Hector Noesi, claimed by Chicago off waivers last season, will start his club's home opener Friday afternoon against Minnesota. Royals: LHP Jason Vargas faces his former team Friday night when Kansas City opens a six-game road trip with the first of three games against the Angels.